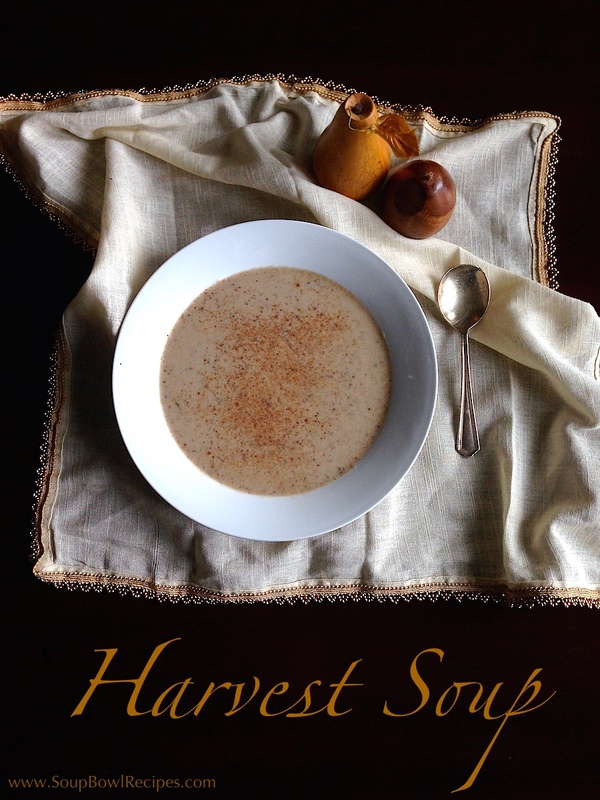 Okay, so Harvest Soup isn’t the actual name of this soup. It’s proper name is Mushroom and Hazelnut Soup, but since my mom only made it on Thanksgiving, my sister and I started referring to it as this (and be grateful, because the runner up was Pilgrim Stew). This is yet another recipe that’s been in the family for years, and we have no idea where it originated, other than one of my mom’s cooking magazines from way back. You see, at one point in the early 90’s (about the time Martha Stewart hit the scene), my mom decided that she wanted to fancy up our Thanksgiving dinner by serving courses. She was looking for something seasonally appropriate for the first course and felt that hazelnuts and mushrooms sounded autumny and elegant. 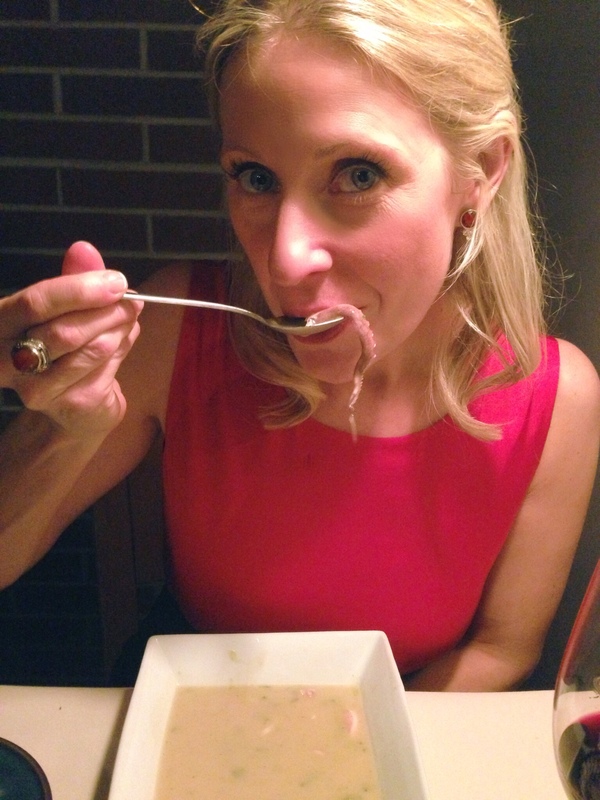 It was an immediate hit with our guests, who, nearly 20 years later, ended up becoming my in-laws; that’s how magical this soup is! (Just kidding. Kind of.) Anyway, since that fateful Thanksgiving, this soup has made a return appearance every single year, but ONLY on the fourth Thursday in November. Preheat oven to 350°F. 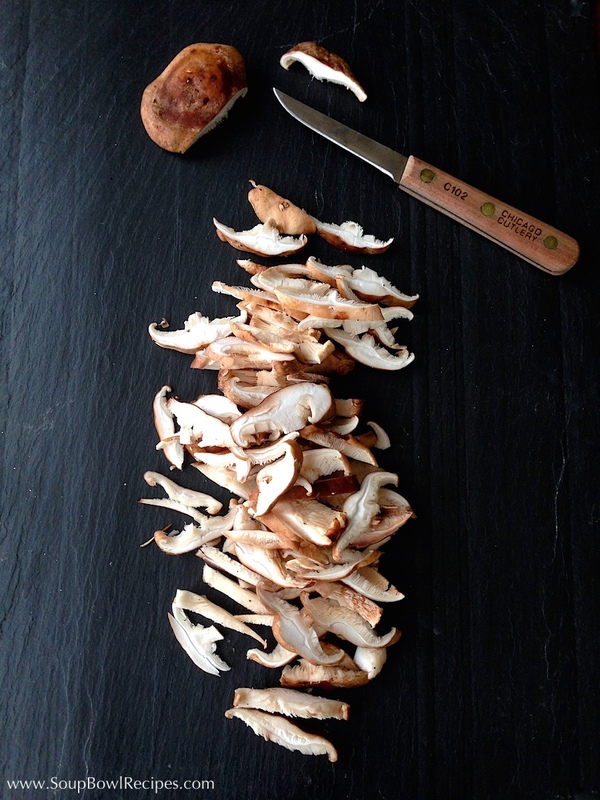 Stem mushrooms and gently rub off any dirt with a clean, dry kitchen towel. Take ¾ pound of the mushrooms and thinly slice. Take the remaining ¼ pound of mushrooms and finely chop; set aside. Melt butter in a large soup pot set over medium heat. 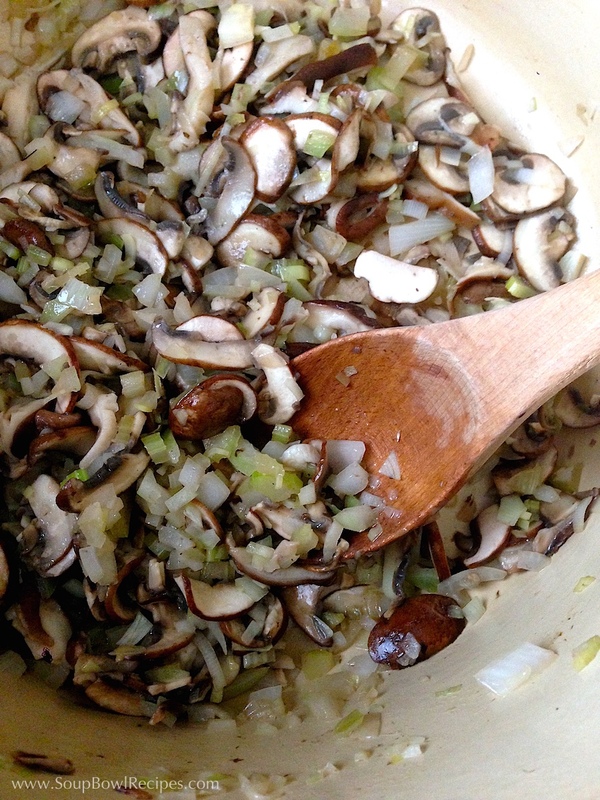 Add the ¾ pound of sliced mushrooms, celery, onion, and leek and sauté until vegetables soften, about 10 minutes. Add flour and stir until all the vegetables are evenly covered. Continue cooking for 5 minutes, stirring constantly. Gradually mix in stock and stir to combine. Add thyme, basil, oregano, and bay leaf and bring to a boil. Immediately reduce heat to low and simmer, partially covered, for 45 minutes. Meanwhile, place hazelnuts on a rimmed baking sheet and roast in a preheated oven for 15 minutes, stirring every 5 minutes or so. The husks (skin) of the hazelnuts should turn a deep brown and begin to blister. 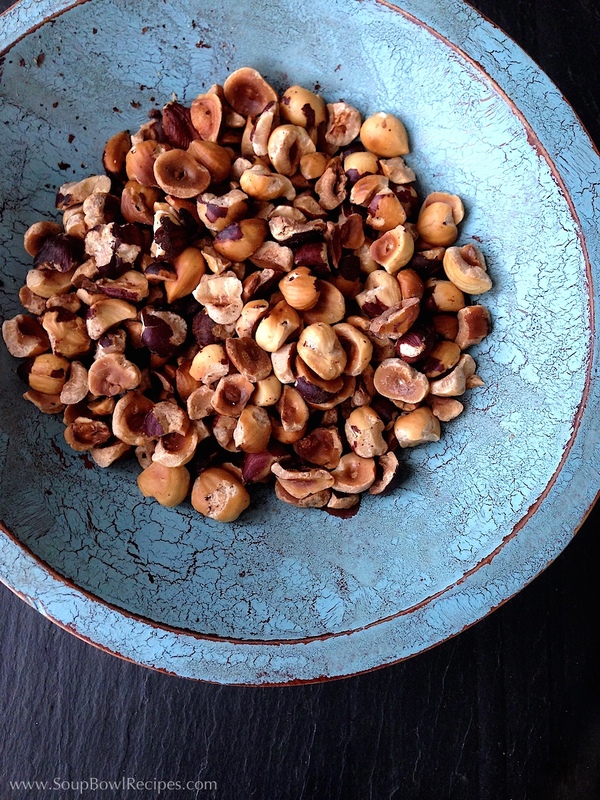 Remove pan from oven and transfer hazelnuts to a clean kitchen towel. Allow to cool slightly, then wrap the towel around the nuts and rub vigorously between your hands. 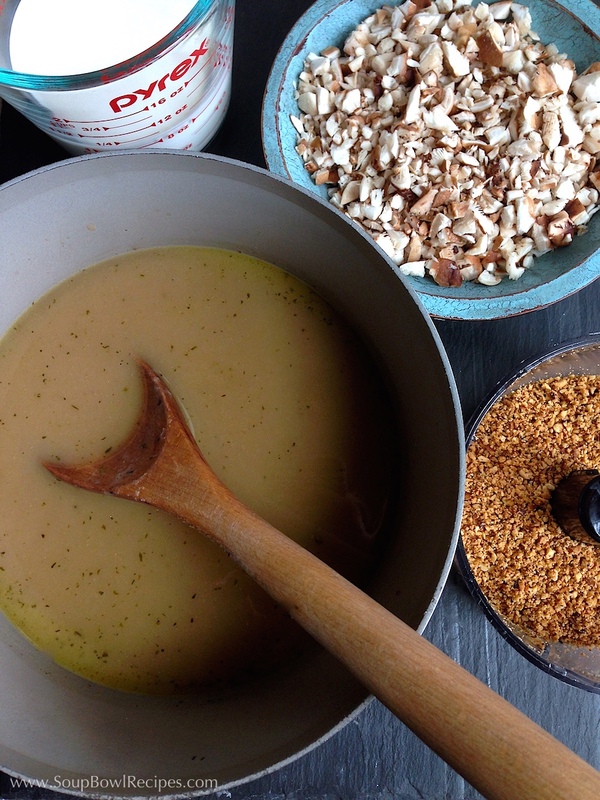 Most, but not all, of the skin should flake off leaving you with golden brown hazelnuts. 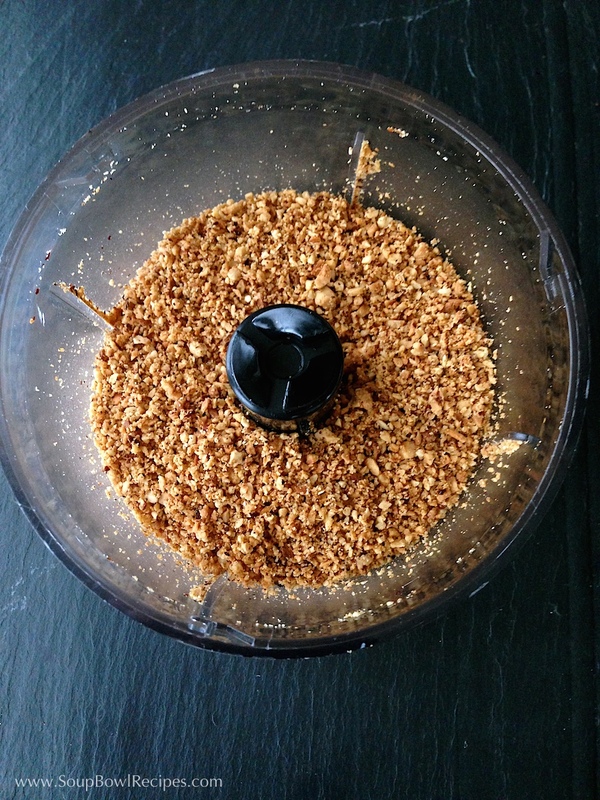 Place hazelnuts into the bowl of a food processor and mix until finely ground; set aside. Once the soup is finished simmering, remove from heat. Place a fine mesh sieve over a medium saucepan and, working in batches, strain soup, pressing on solids with the back of a spoon; discard solids. 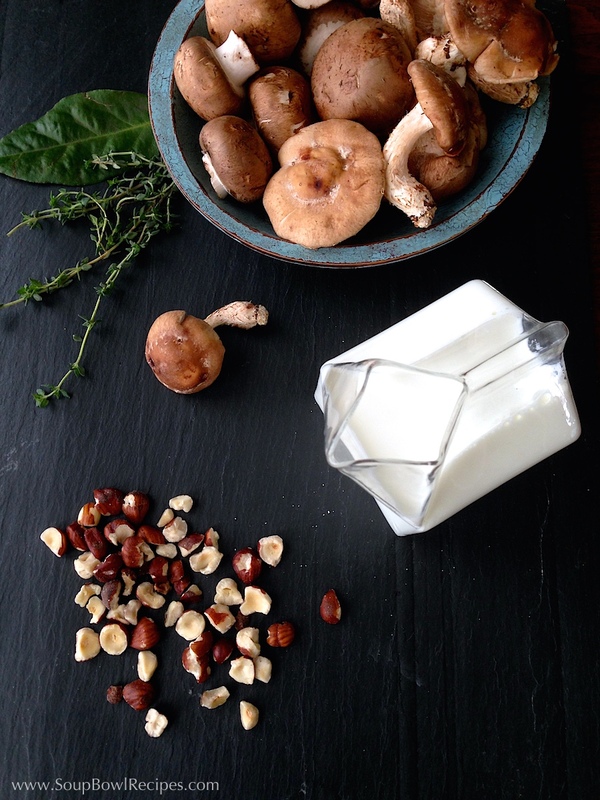 Place saucepan over medium heat, add half and half, reserved ¼ pound of finely chopped mushrooms, and hazelnuts. 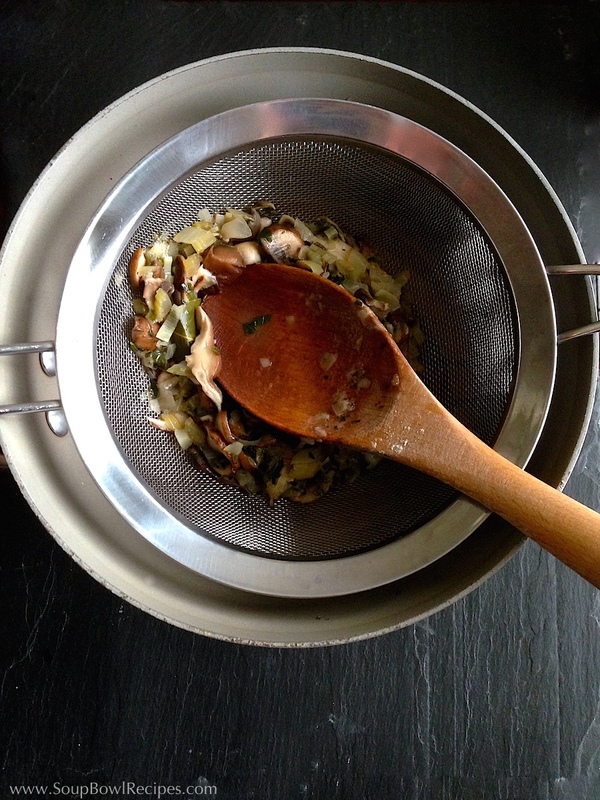 Bring to a simmer and continue simmering until mushrooms soften, about 15 minutes. Season with salt and pepper and ladle into preheated bowls. 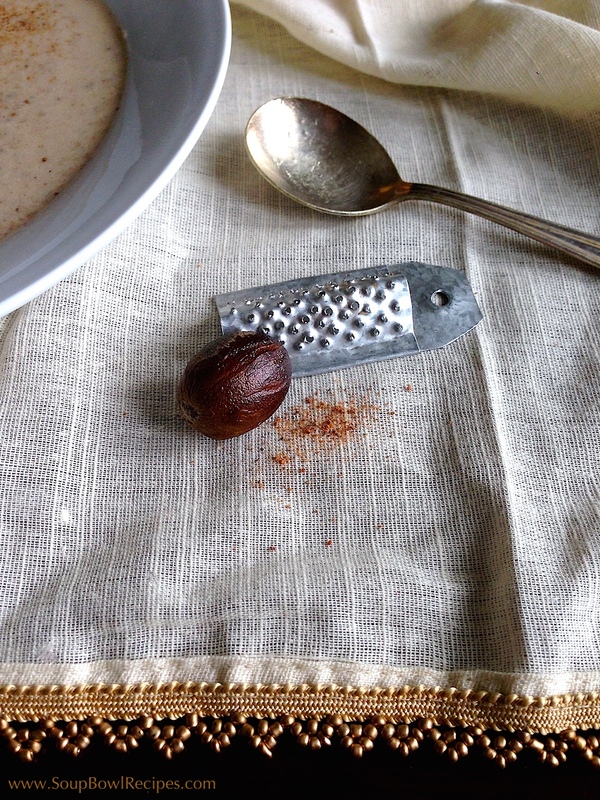 Garnish soup with a sprinkle of nutmeg. *Soup can be made 1 day ahead, covered in the refrigerator. Sidekick: Serve with a glass of Chardonnay and a hearty dose of thankfulness.